When you go on a Royal Caribbean cruise, you can expect inspiring destinations on revolutionary ships with 5 star service. 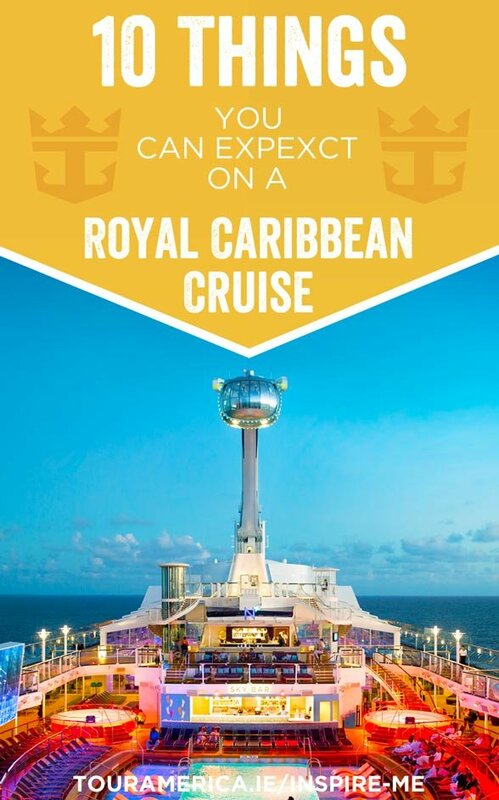 There’s no doubt about it, Royal Caribbean will make your cruise extraordinary. For anyone who has booked or is thinking of booking a Royal Caribbean cruise, we’ve put together a list of ten things you can expect on a Royal Caribbean cruise. 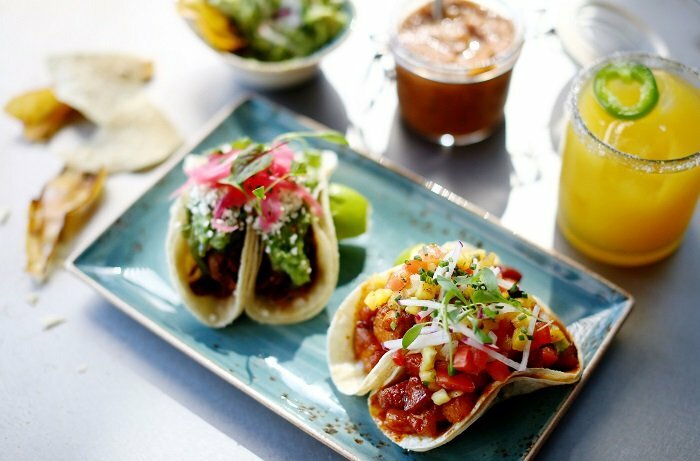 Royal Caribbean cruises are home to some of the most unique and innovative dining options at sea and during your cruise, you will find classic cuisine, seafood, Asian and Mexican to name but a few. Royal Caribbean also have some amazing celebrity chef restaurants on board their ships such as Jamie’s Italian by Jamie Oliver, Michael’s Genuine Pub by Michael Schwartz. Izumi Japanese Cuisine has sushi, sashimi and more with the freshest of ingredients! If you’re looking for something really special, Wonderland Imaginative Cuisine is a feast for all the senses. Using interactive menus and mysterious meals, this is a magical evening for all involved. Royal Caribbean bring you on adventures and explorations that show you the very best of every port of call and their incredible selection of excursions have something for everyone. With extra perks such as first off the ship and destination expertise, what's not to love about Royal Caribbean’s shore excursions! 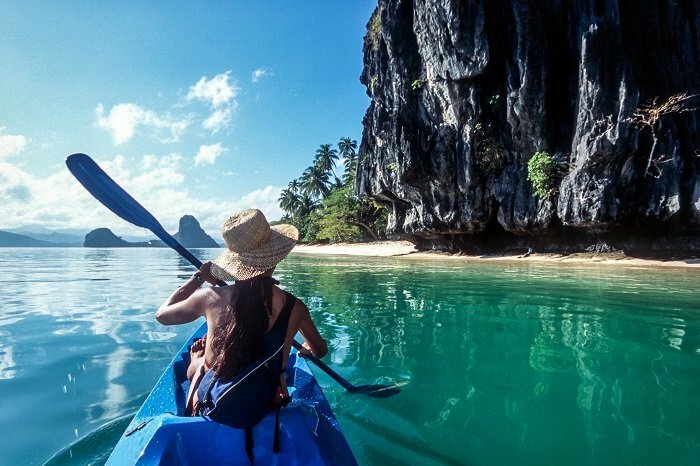 Royal Caribbean offer a range of shore excursions in every port of call and they offer everything from mountain biking to cultural city tours. If you’re interested in a private tour, no problem! Royal Caribbean can cater to all needs and are happy to make all the arrangements for your own custom tour, if desired. You’ll never be bored on a Royal Caribbean cruise because each of their ships offer endless options on board. Royal Caribbean are cruise innovators and they are always the first for new ship features (hello Ultimate Abyss & SeaPlex!). 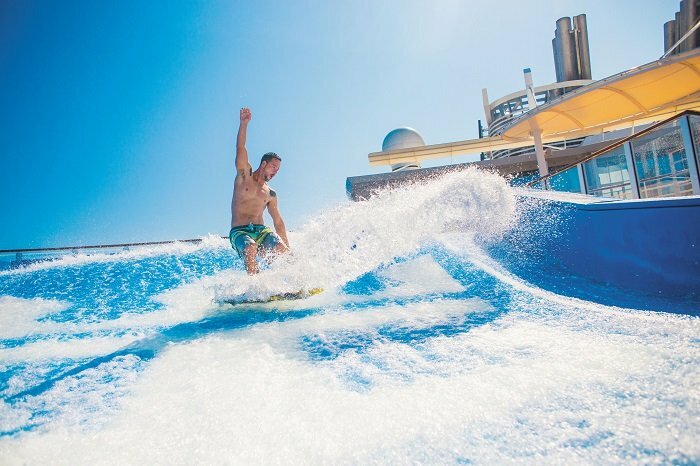 No day will be the same on board with activities like surf simulators, rock climbing, ice skating, ziplining, mini golf and arcade games! If you’re looking for something more relaxing check out the views from the North Star on Quantum Class ships or stroll down the Royal Promenade which is full of bustling shops, cafes and even a pub! Let Royal Caribbean entertain you! Royal Caribbean are the leaders in top entertainment at sea. Not only are there original Royal Caribbean productions and live comedy acts, there are also awards winning shows like We Will Rock You, Grease, Saturday Night Fever and Mamma Mia that are standard on Royal Caribbean ships! 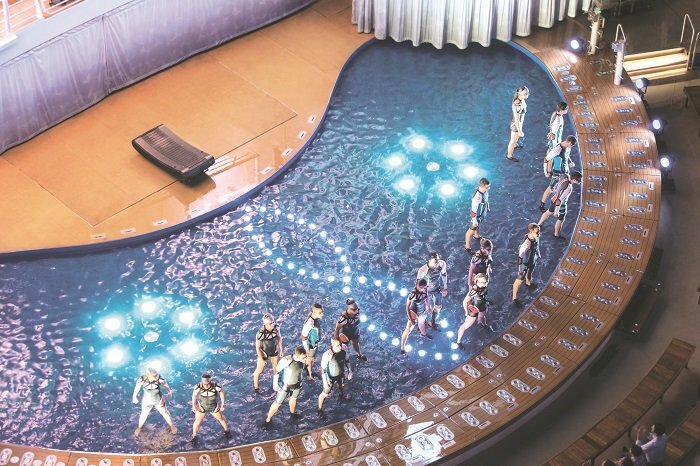 For something really different, spend an evening in the Aqua theatre being blown away by the all-swimming, all-dancing, all-acrobatic spectacular on Oasis Class ships! Try you luck in Casino Royale, have your drink made by robots in the Bionic Bar or head to one of many bars and clubs to dance the night away! Immerse yourself in pure bliss in one of the many tranquil treatments and activities on your Royal Caribbean cruise. Royal Caribbean’s Vitality at Sea Spa and Fitness Centre is the perfect place to relax and unwind at sea. There is a luxurious range of spa treatments to choose from. How about a Shiatsu scalp massage? Or an Aroma Spa Ocean Wrap? Or maybe even both! Practice yoga in the morning, hit the gym at lunch or have an evening session in thermal suite, you will certainly feel relaxed and rejuvenated by the end of your cruise. Cruises aren’t just for Mum and Dad. 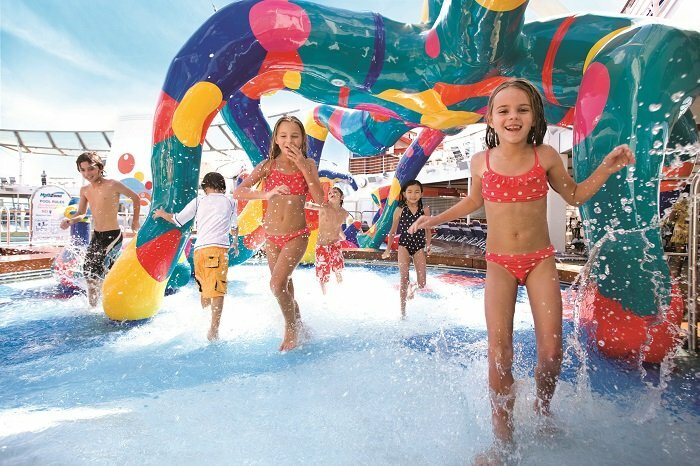 As well as plenty of family activities, there is always something to keep the little ones entertained while the bigger ones are making the most of their cruise. The Adventure Ocean Youth and Teen Programme is available for kids aged between 3 to 17 and there are activities tailor made to each age group so everyone is kept happy! Don’t worry if you have anyone younger than 3, even the tiniest of cruisers are kept entertained with the Royal Babies and Tots Nursery. You will feel right at home in your luxurious stateroom on board. 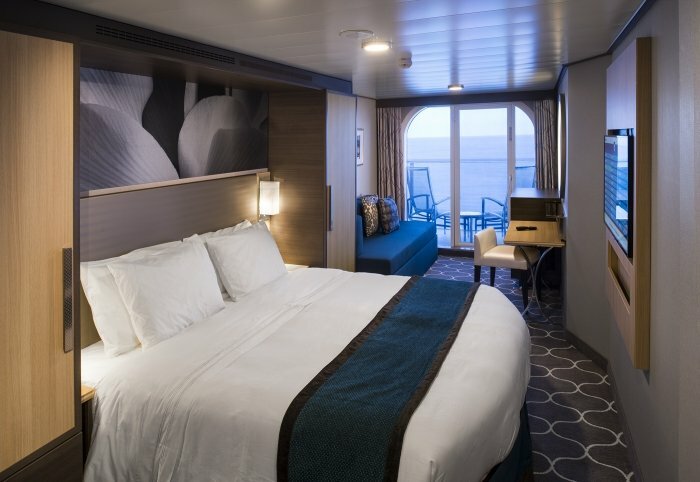 Comfortable, relaxing and spacious, each stateroom is designed with your happiness in mind. On days where you feel like having a duvet day, each stateroom is fitted with an interactive TV which allows you to order room service right to your stateroom. You can also watch movies, reserve showtimes, specialty dining, book shore excursions and check your onboard account. You’ll never want to leave! 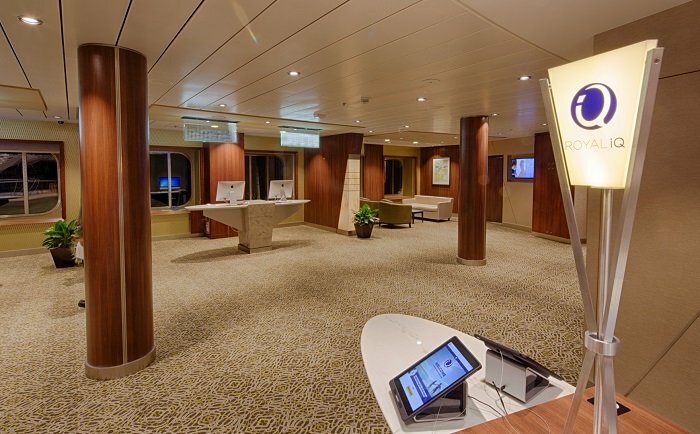 Before your cruise you can check-in online and organise your cruise with Royal Caribbean’s Cruise Planner. And once you step on board, Royal IQ takes over. On Quantum Class ships and Harmony of the Seas, your cruise is in your hands. At the touch of a button, you can pre-book your meals on board, reserve seats for that show you’ve been dying to see, book your shore excursions and more. Keep track of your activities with a handy schedule and even chat with friends with the communication package. Royal IQ gives you the flexibility to do what you want, when you want. 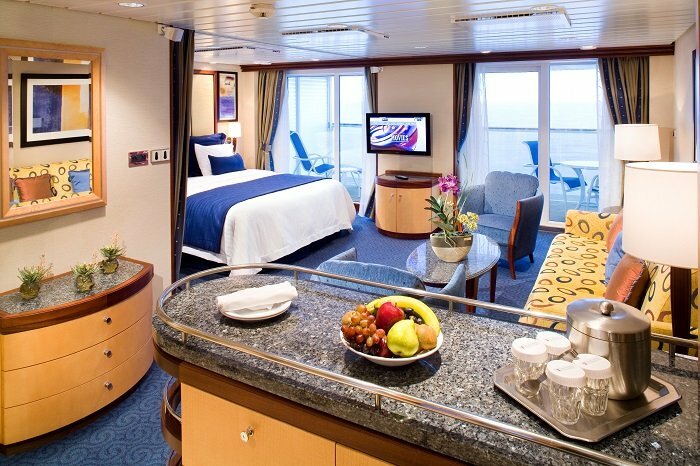 If you enjoy the finer things in life, Royal Caribbean’s Suite Class is for you! Suite class means more tailor made adventures, exclusive access and more inclusive features for you! There are unparalleled accommodations for families, couples and even groups. If you are a Star Class guest, experience ultimate luxury with a Royal Genie, Royal Caribbean’s butler service. Your Royal Genie is is there to grant your wishes throughout your entire cruise. Royal Caribbean’s Suite Class takes luxury and service to the next level and you can experience Royal Caribbean's Suite Class on most Oasis and Quantum Class ships. Where do you want to go? Alaska? Bermuda? Australia? Royal Caribbean can take you there! With the choice of itineraries on Royal Caribbean cruises, the world is your oyster. 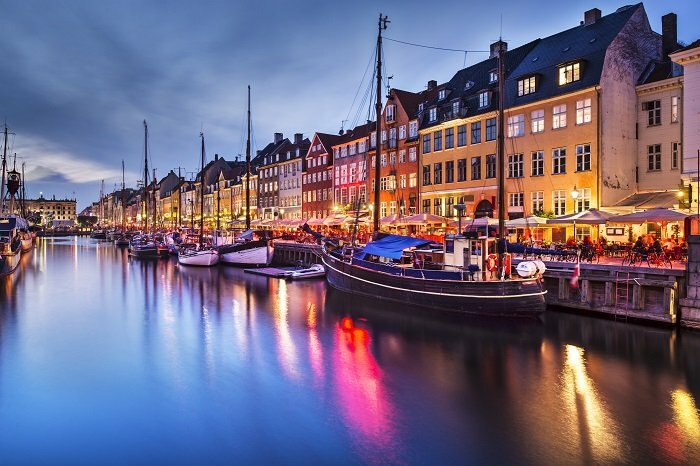 Explore medieval towns in Europe or beat the holiday blues in the Caribbean. Royal Caribbean can even take you to place that no one but Royal Caribbean guest can explore. Labadee and Coco Cay in the Caribbean have white sand beaches and turquoise waters reserved exclusively for cruise guests of Royal Caribbean. You can explore your favourite holiday destinations or venture to somewhere you’ve never been before, the choice is yours! Does a Royal Caribbean cruise sound like the cruise for you? If you would like more information on a cruise with Royal Caribbean, call our cruise expets on 01-8173562 or visit http://www.cruiseholidays.ie/cruiseline/royal-caribbean-international for more information. 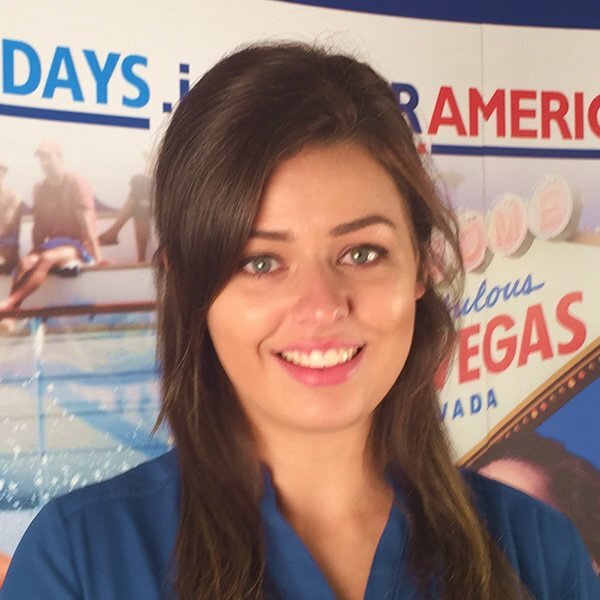 Aisling loves to travel and she is a regular contributor to the Tour America blog. In her spare time you will find her travelling the world or editing her brilliant travel vlogs.